In one guise or another, Edinburgh and Glasgow have both seen their fair share of the silver screen in recent years. 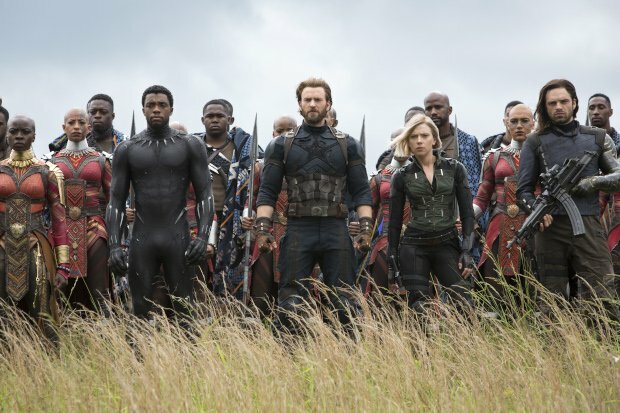 From World War Z's zombie hordes to the superhero tussles of Avengers: Infinity War, heavyweight production companies are increasingly taking their business to Scotland. With that in mind, there are plenty of opportunities designed for students and young people looking to break into the filmmaking world. In addition to a plethora of internship opportunities across all their departments, the EIFF hosts an annual cohort of aspiring critics drawn from across the UK. Not only do these chosen few get to write reviews and attend press screenings, but they are also closely mentored by an established industry professional, who will offer advice on how to develop their work and build a career within film journalism. From September to March, the British Film Institute runs a programme of hands-on filmmaking courses for young people ages 16-19. These courses take place throughout the UK, with opportunities at Screen Education Edinburgh and GMAC Film in Glasgow, and allow their students to work alongside industry professionals across a range of different projects. The deadline to apply for courses this year is 5 October. The NTFS offer a variety of courses related to the creative industry, from Masters degrees to shorter programmes. Led by experienced tutors working in the field, these courses are ideal for bolstering the specific creative and technical know-how required to succeed in the film industry, whether it be using certain film editing software or writing the pilot to your own television show. The SDI hosts free masterclasses on the art of documentary filmmaking led by established directors from around the world (many of which have been recorded and are currently free to watch on their website). In addition to running the postgraduate programme in Directing Documentary in conjunction with Edinburgh College of Art, the SDI also manages the new talent initiative Bridging the Gap, which helps filmmakers develop ten minute documentary projects alongside industry professionals over a period of nine months. Designed to help foster new Scottish filmmaking talent, Scottish Shorts is a short film and production programme for those with a few student films under their belt, but whom have yet to find actual work in the industry. Open to filmmakers of all stripes, theatre practitioners or writers looking to make the transition onto the screen, the chosen projects will be commissioned and given a budget to turn their ideas into reality.